I have enjoyed iftars this Ramadan, and have been part of some really special evenings. The spreads are usually something. However, the idea of a set menu iftar is a proposition I could get used to. Furthermore, an iftar that has, what I called in a previous blog, an x-factor, will get me excited every time. The thing is, most iftars start to look and feel like other iftars. 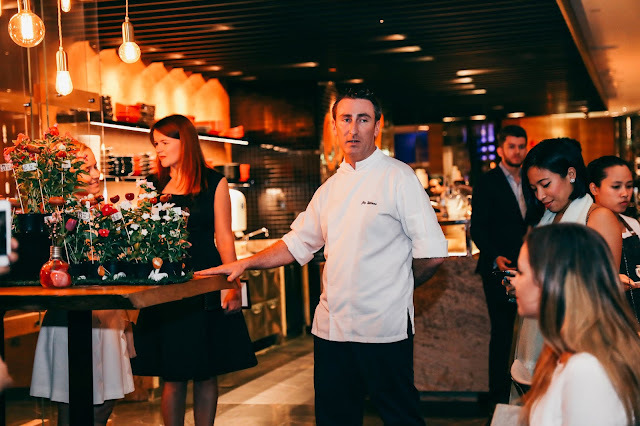 Last night was a night when I attended an iftar that checked all the above mentioned: a set menu and an element that sets it apart from some of the iftars around the city. For this iftar, I drove to Dubai. The Four Points by Sheraton on Sheikh Zayed Road is conveniently situated, especially for someone driving from the capital. It was at their Moroccan restaurant that I would have an iftar. 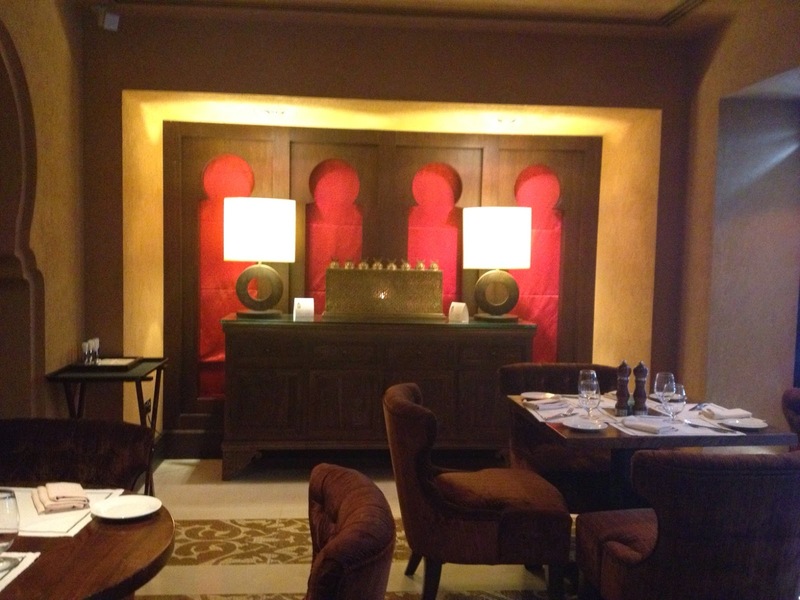 The restaurant is small and cosy, lending itself to an intimate and relaxed evening. I took a seat in one of the semi private rooms with a view of Sheikh Zayed road. The sofa seating is comfortable, but I can see issues with the other seating being too far away from the table. However, a problem easily solved with a bigger table. Warm colours will greet you on arrival. 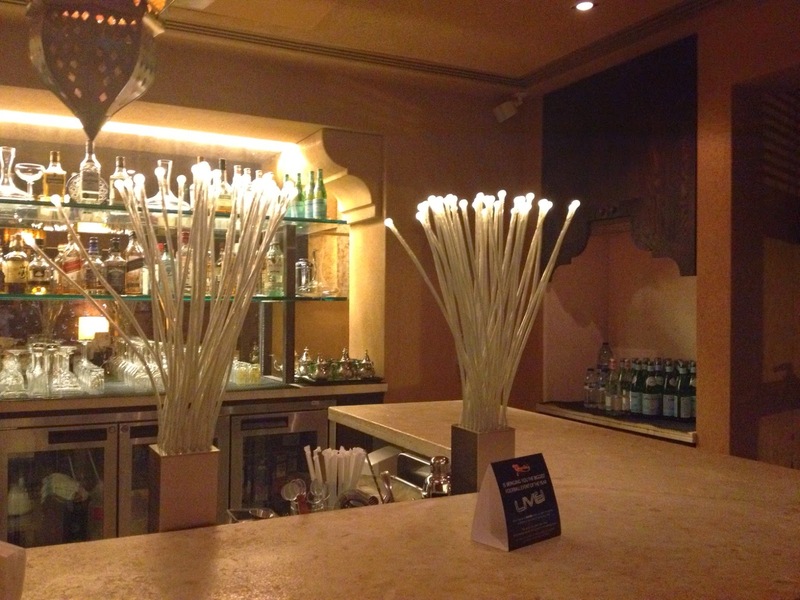 The bar is ideal for pre- and after dinner drinks. I am offered a glass of jalab, that tastes more like thamar hindi. Nonetheless, my attention is focused on the menu. It looks good. The evening starts off with a traditional iftar dish in Morocco, harira, a mildly spiced tomato and chick pea soup that on this occasion is served with vermicelli. Personally, I think the vermicelli detracts from the dish. I think it works fine without it. Then, though, the evening really starts for me with zaalouk and taktouka. The charcoal grilled eggplant is delicious because I can taste the charcoal grilling. As for the taktouka, the bell pepper has a hint of sweetness that provides an interesting turn in the dish. 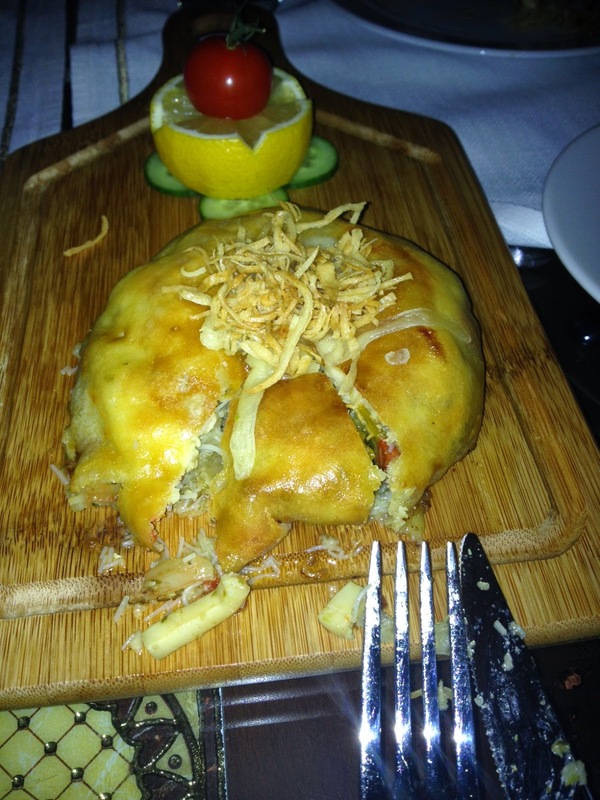 The best starter though, is the seafood bastilla. Apart from the flavours, the pastry is warm and crispy. 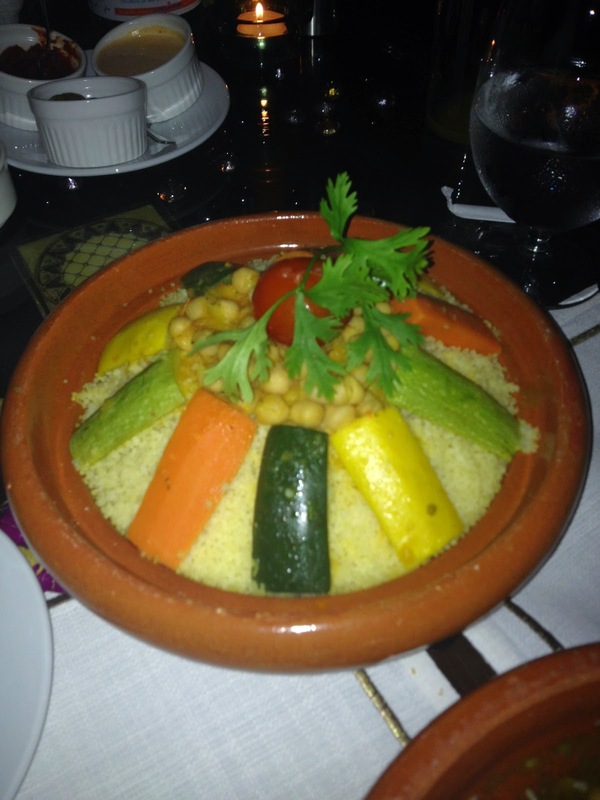 The main has to be tagine and couscous. I am served a tagine bel barouk, which is braised lamb leg, glazed prunes and toasted almonds. The lamb is braised just right and goes really well with the lightly flavoured vegetable couscous. The toasted nuts are fantastic. On its own, the couscous is a delicate surprise which I like because it allows me to enjoy the natural tasting eggplant and carrots in particular. However, together with the lamb it is even better. The service is an aspect that can be improved. Water is topped up sporadically. I always say: Either serve my water through the night or not at all. Some dishes are served without serving spoons. Also, clean plates have to be requested on a couple of occasions. Don't get me wrong - it is warm and friendly, but it could and should be more. 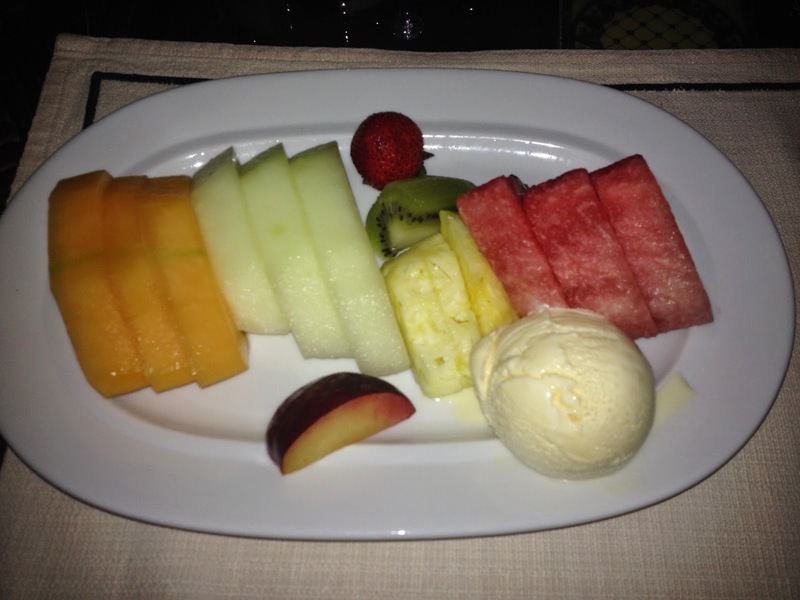 Finally, dessert is a platter of fresh fruit and rice pudding. 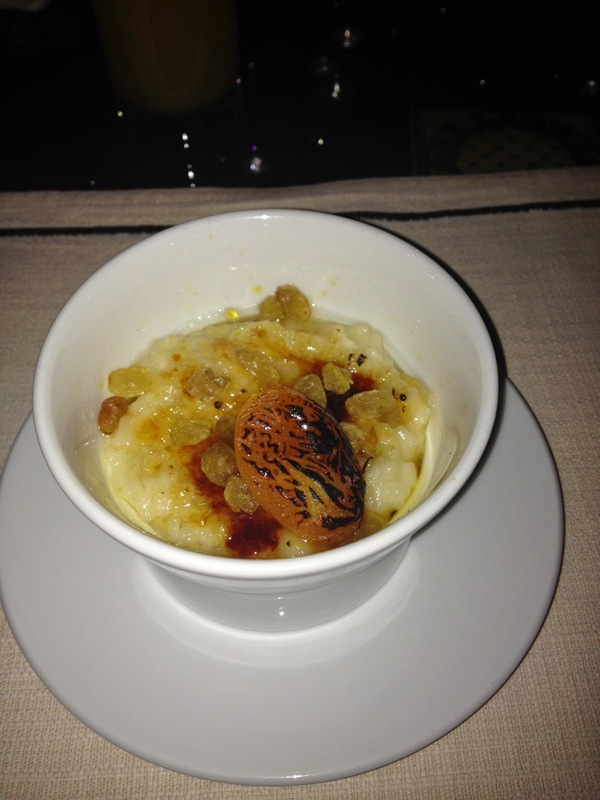 I loved the caramelised top on the rice pudding and the dried apricots. Yum. As I got up to leave, I was excited about the restaurant. It was more about the potential that it has. 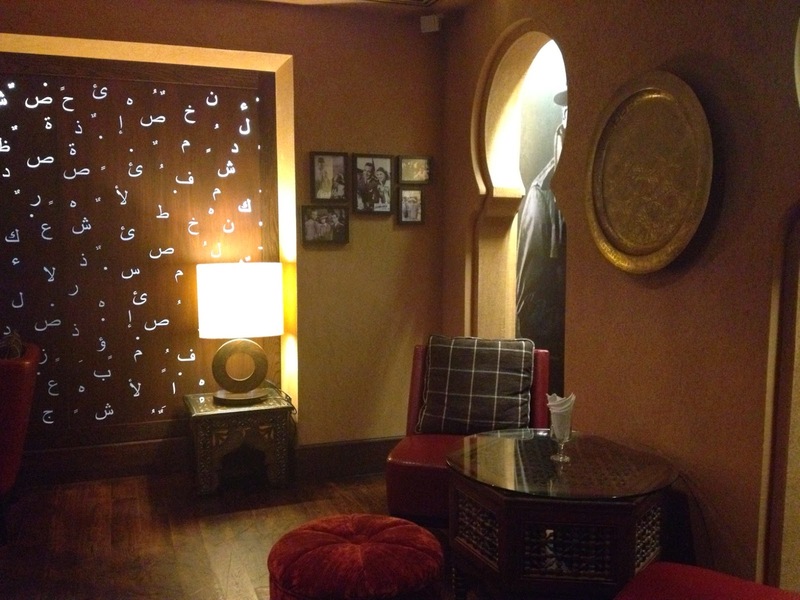 There are not many Moroccan restaurants in Abu Dhabi or Dubai. 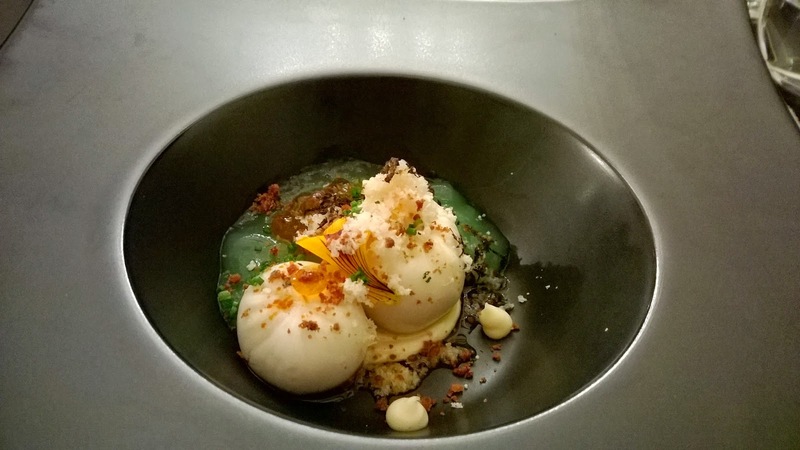 While the restaurant got more things right than wrong, I felt it could reach greater heights. There is more that can be done to create an even richer authentic feel. When I met the humble and diffident Moroccan chef, I could see possibilities could be realised. The kitchen seems to be in good hands. It is just about bringing all the other elements together. Overall, it was an iftar with a difference, something I have been obsessing about. It was great not having to get up to get food, one of the benefits of a set menu. Also, being a lover of Moroccan food, meant it offered something unique. That x-factor. A Moroccan iftar.